CompuBox breaks down this weekend’s fight between Manny Pacquiao and Adrien Broner. 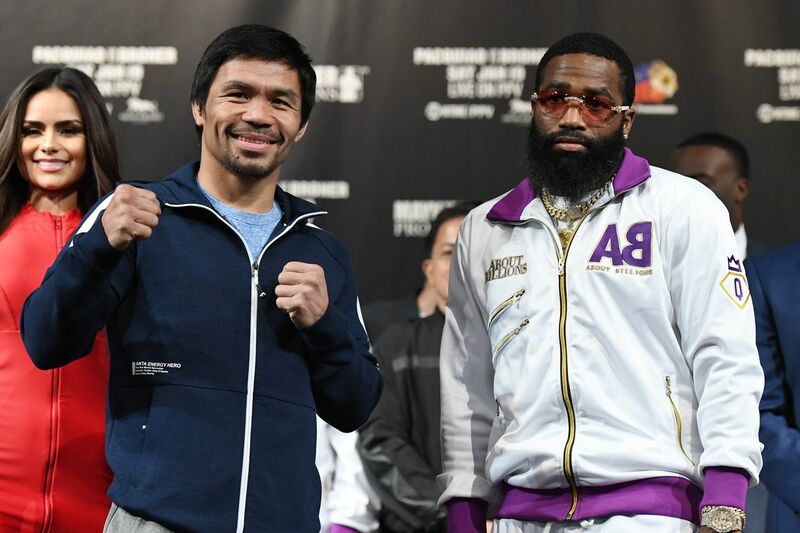 As Manny Pacquiao and Adrien Broner prepare to do battle this Saturday night on Showtime PPV, CompuBox breaks down a preview of the fight by the numbers. At this point we’ve all heard the talk about how Broner needs to let his hands go in order to have a shot at beating Pacquiao, but did you know that Broner is actually averaging more punches thrown per round than Pacquiao in their last five outings? According to CompuBox count, Broner has averaged 43 punches per round over his last five fights while the once swarming Pacquiao has averaged only 40. That’s a considerable deviation from the norm, as Pacquiao averaged 66 punches per round over his previous 12 fights. That said, Pacquiao has been taking less punches as of late, with opponents averaging only 6 power punches landed per round in his last five outings. But CompuBox also highlights Pacquiao body punching, or lack thereof, with Pacquiao landing only 20% of his punches to the body compared to the CompuBox average of 26%. Looking specifically at Broner, he’s landed 47% of his power shots over his last five fights, which is 10% higher than average for the weight class. But Broner has also been taking more power shots than Pacquiao, with opponents averaging 13 landed power shots per round. Taking that all into account, CompuBox predicts that Pacquiao will get off to a fast start against Broner, who averages 39 punches per round in the first 6, and 47 punches in the last 6, with Broner coming on strong late once he finds a rhythm for his counterpunching.